Easy ways to keep up appearance without draining your checking account. 1. Mail in your dull Tweezerman tweezers, nippers, and scissors to be sharpened for FREE rather than buying new tools. Simply clean your tools and slip them in a padded, insured mailer (sorry, you have to pay for the mailer). Expect a four to six week lead time and if the tool can't be sharpened, Tweezerman will send it back to you with a coupon for a replacement. Get all the deets from Tweezerman. 2. Reduce food waste and save $$$ with this DIY baby food that can be eaten right away as a puree or frozen for later. It's as easy as tossing fruits and veggies into a blender and pureeing. FYI, organic produce is recommended for baby food. Get all the deets here. Get the supplies from Amazon: silicone ice-cube trays for $22.99 and a Hamilton Beach blender with chopper for $34.40. 3. If you're in college, research textbooks on Amazon to score a better deal than at your local student store. Search by the ISBN (which should be on your course syllabus and/or is easily googled) and save as much as 87% off via Amazon rentals. Just don't write in your books! Get all the deets here. And if you're a student, sign up for Amazon Prime Student for a six-month trial that includes free two-day shipping on lots of items and 50% off prime after the trial period expires. 4. And if you must take notes in your textbooks, write them down on these ruled sticky notes instead so you can easily sell back the books. Get a pack of 60 from Amazon for $6.52. 5. Plan some delish no-cook meals so you have a lower gas bill and won't have to crank your AC to compensate for a hot kitchen. Check out our easy chicken summer rolls recipe here and 16 more summer-friendly no-cook recipes here. 6. Time to upgrade your sheets? Swap in this microfiber set that's super soft, washes well, and oh-so breathable. Dear readers, I bought these sheets a few years ago and still love them. A fair-trade, organic bedding company gave me a set of sheets to try out for free around the same time, but these are my faves. The fitted sheet stays put better than the pricier version and they seem to get softer the longer I own them. Get them from Amazon for $22.40+ (available in eight sizes, a variety of colors). P.S. A higher thread count doesn't mean a set of sheets is worth more of your hard-earned money. You need your sheets to breathe! 7. Forgo goo-fighting products by removing stickers using stuff you already have, like vodka, olive oil...you get the gist. Goo Gone works crazy well, but we're on a budget. Those used jelly jars are going to make the ~cutest~ drinking glasses. Get full (simple) instructions from Nifty. 8. Ditch aluminum foil and keep stuff fresher for longer with these stretch silicone lids -- especially if you're constantly using half a can of chicken stock or tomato paste. 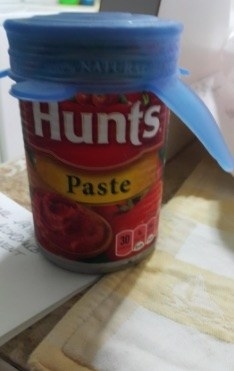 These work best for stuff in cans, mason jars, and the like, not on your huge casserole dish. 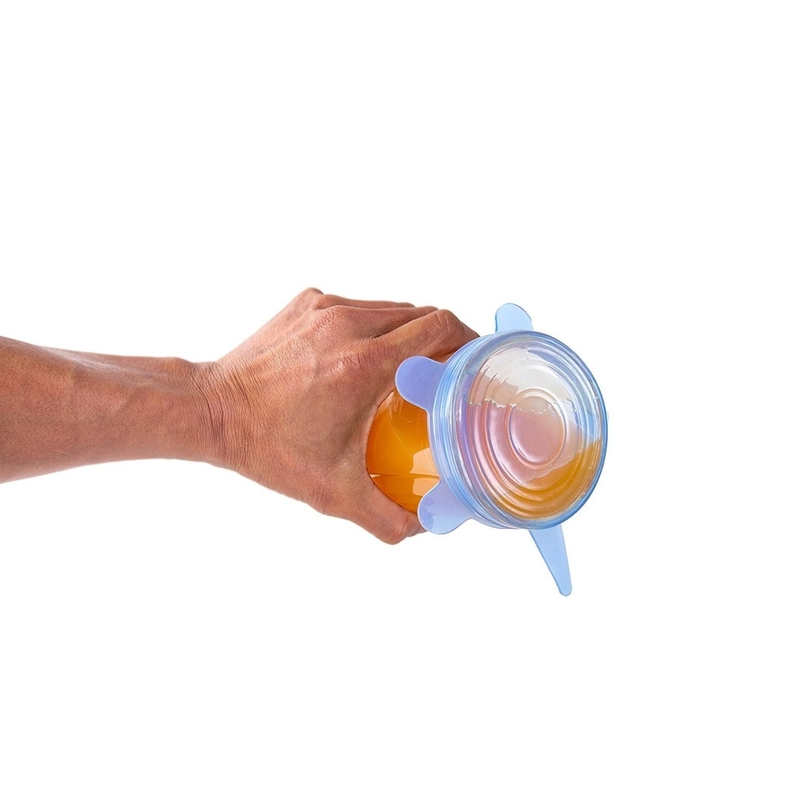 They're BPA-free, and dishwasher-, microwave-, oven-, and freezer-safe. This set costs roughly the same amount as a roll of Reynolds Wrap ($9.48) so you won't get a ROI this month, but this set's a smart investment. Get a set of six from Amazon for $9.99. 9. Embrace the annoying pop-up messages while you're online shopping and ask the "person" on the other end about any deals or discounts to apply to stuff you were already dead-set on buying. If you were going to buy that dress anyway, you might as well get the code for free shipping. Make that retailer work for your business! Read 27 more mind-blowing secrets for online shopping here. 10. Try out a roll of bamboo paper towels you can toss in the washing machine and reuse 120+ times. One of these rolls promises to replace about 60 regular paper towel rolls. Get a roll from Amazon for $7.99. 11. Sell your old books, CDs, games, tech, and other stuff to Decluttr to, well, declutter your stuff for a profit. And if you're in the market, you can also shop refurbished tech and cell phones! Get the deets here. 12. Sleep better — even in economy! — with a nuzzling neck pillow that costs less than a flight upgrade to a better seat. 13. And if you're traveling somewhere with a beach, skip pricey suits and buy a few inexpensive suits to give your beach looks some variety. Save most of your cash for souvenirs and exotic-looking drinks. Sunscreen, too! 14. Put kitchen scraps to work (again) by making flavored olive oil with leftover herbs, deodorizing shoes with green tea bags, and other savvy ideas. Get full instructions from Nifty. 15. 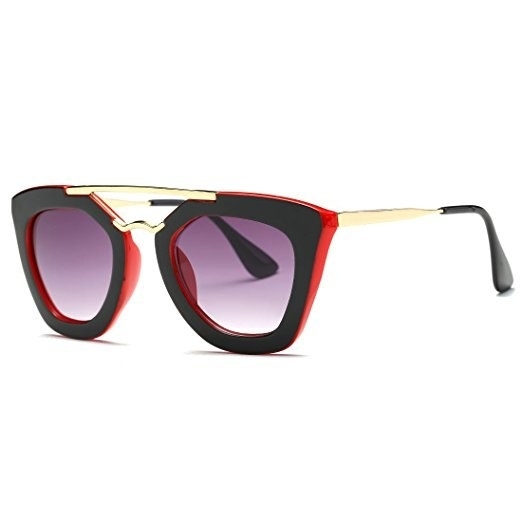 Opt for some cheap, chic sunnies to get you through the remainder of summer activities instead of shelling out big bucks for designer glasses you'll lose on a water slide. It happens. It happened to my friend's dad. I was there. Get them from Amazon for $8.99 (available in several color combos). 16. Cut down on your oil-blotting sheet use by blotting with (unused!) toilet-seat covers so you can look all breezy and put-together like SJP in a transitional movie scene. Yes, you've heard this before. It's well documented on the Internet that Sarah Jessica Parker uses this trick. She's just like us! No she's not. But do like her and use the non-shiny side of toilet seat covers to blot your dang face for free. 17. 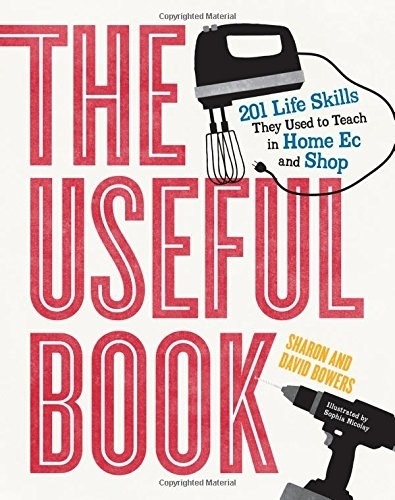 Educate yourself on basic household skills -- instead of calling a repair person when you have a section of carpet that needs replacing -- with The Useful Book. A perfect supplement for YouTube, which is an excellent resource for things like unclogging a sink, removing stripped screws, and removing makeup stains from clothing, to name a few things. Promising review: "Great resource to have for learning/refreshing how to do basic household tasks, plus more complex jobs, too. 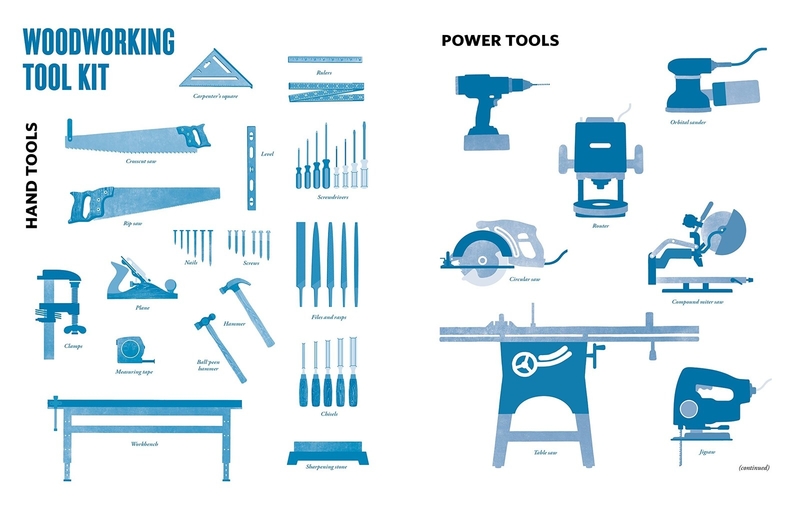 For example, cooking, sewing, plumbing, household maintenance and repairs, and much, much more. Highly recommend The Useful Book!" --Barbara R.
Get it from Amazon for $9.99+ (available in eBook and paperback). Blotting your face with toilet-seat covers, unclogging your own toilet, and selling your old iPhone adds up, folks. Check out last month's tips here.